You might've noticed the amazing beverage makers I've gotten recently. I'm pretty well set for any kind of drink I can think up: hot coffee, iced coffee, and a variety of juices. If you've been following any of my social channels, you've probably seen me using my Ello glasses. 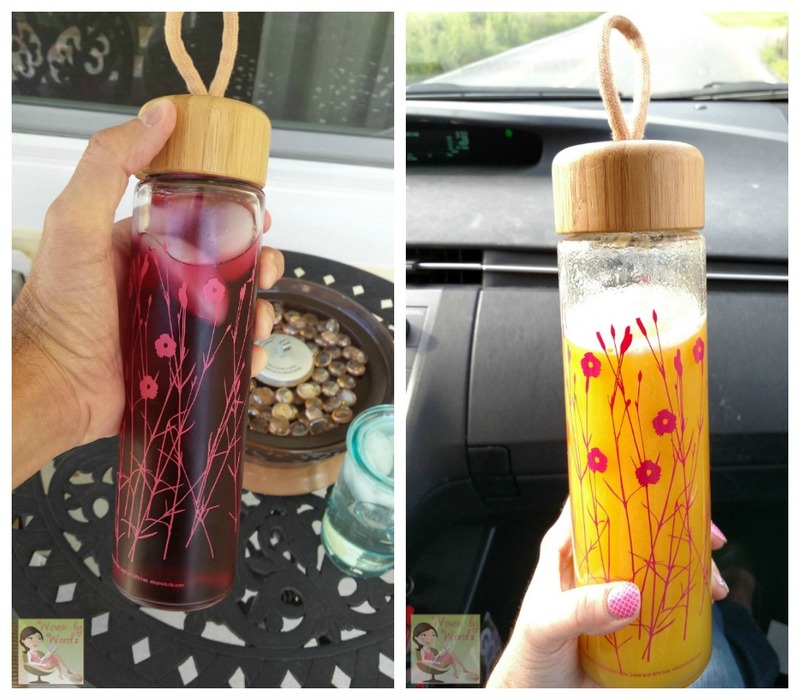 I had reached out to them after I saw their product line and fell in love with several of their glasses. I was so excited when they offered me 3 different glasses to review! I think what drew me to Ello in the first place was their design. Some of them are just plain fun, and others are elegant. They use glass and ceramic for their glassware. I wanted to have something for different uses. Ello sent me the Newport, Ogden, and Thrive to try out! My first one was the Thrive to try out. I can't NOT begin to tell you how in love with this glass bottle. I love the design on it. It's made from BPA-free glass, and has a leak-proof bamboo cap. 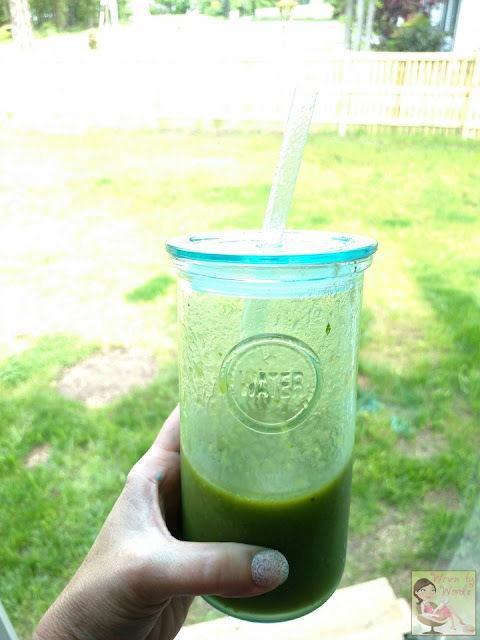 The first time I used it, I had made my first homemade juice with my Life Juicer. The orange color made the pink flowers pop! It has a little loop on the top of the cap for easy carrying, too. Last, but not least is the Ogden, which is perfect for any hot beverage. 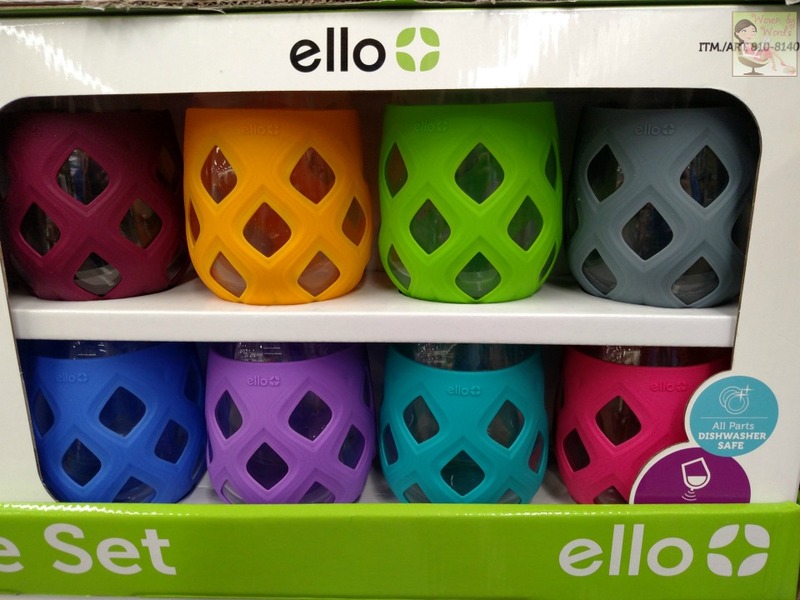 This one is made from BPA-free ceramic, plastic, and FDA food-grade silicone. 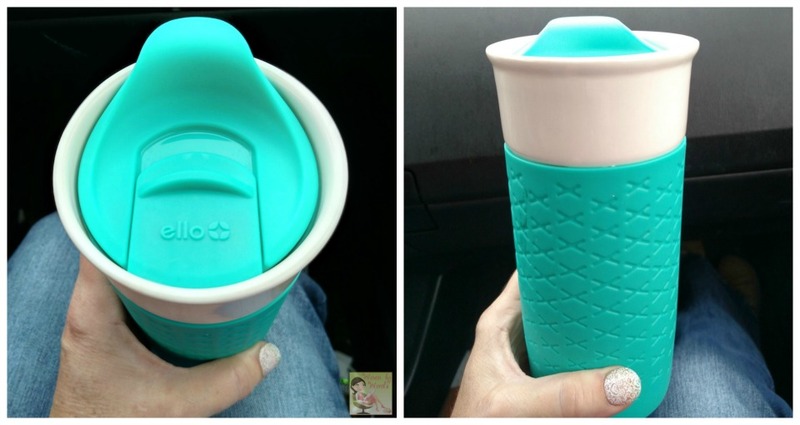 It has a spill-proof lid that fits snug inside the tumbler. For me, the silicone sleeve is what makes this, and a LOT of the other Ello glasses, so fun! It's cute, but it's also functional in that it insulates and gives an easy grip. My hubby is awesome and insists on making me coffee every morning. 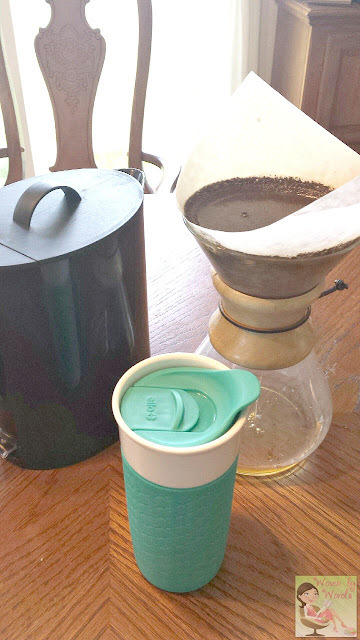 He uses his Chemex stuff, and I'm happy mixing up a specialty drink in my Ninja Coffee Bar! lol Sometimes I sneak and make my coffee while he's out walking the dog. That's only if I'm not already knee deep in my work! I don't know if you're like me, and if this is a universal thing, but when you buy a new car do you feel like you see it everywhere, when before you didn't? That's been my experience with Ello! 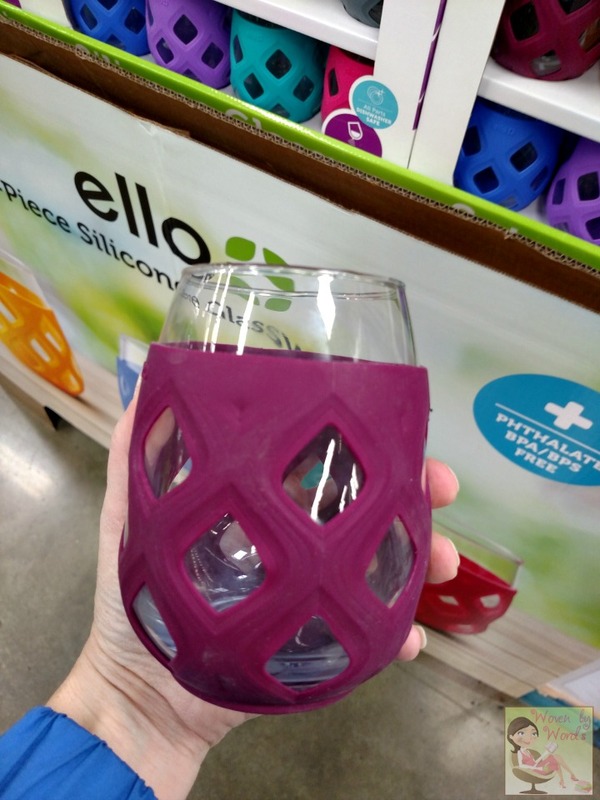 We were at Sam's Club a few weeks ago, and there was this great display of a set of glasses with a fun silicone design around them. It was my first time seeing them in a store! My daughter saw my first Instagram photo of the Thrive, and said she had to have one, so since her birthday is next month, I'll be ordering one for her! She's going to love it as much as I do. 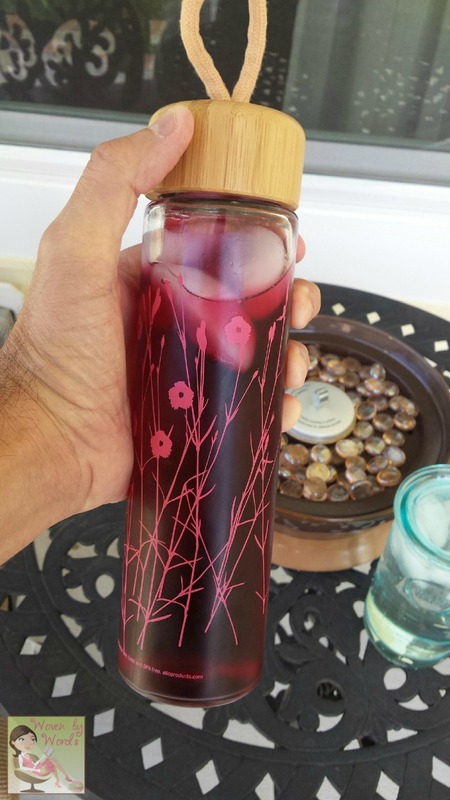 Look at how different it looks in my husband's hand and in my hand! Cracked me up when I saw them side by side. Be sure to follow Ello on Facebook and Instagram. I'll be giving away an Ogden and Newport for our Summer Fun Giveaway! Which of these would be your favorite to be out and about with? Oh, my goodness! The Thrive of course! It's the perfect marriage of wood (bamboooo!!) and glass! such architecture! I love it! I love the glasses, they are non slip!! 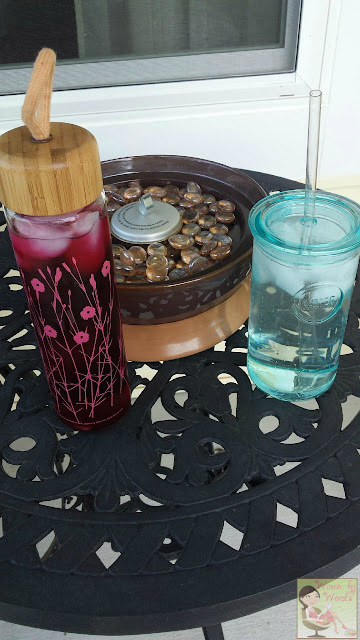 how cool is that, I also love the bottles, I am a hube water bottle freak, so these are all great. I think the Newport would be my favorite, although I really like the Ogden as well. I would like it for my coffee on the go. Thanks for sharing these.